In the garden today we clipped, potted, cleaned our garage, and accomplished a number of our spring chores. The flowers in our garden watched us with no thought of breaking a sweat. This is Iris ‘Frothingslosh’ -yes, that really is the name! 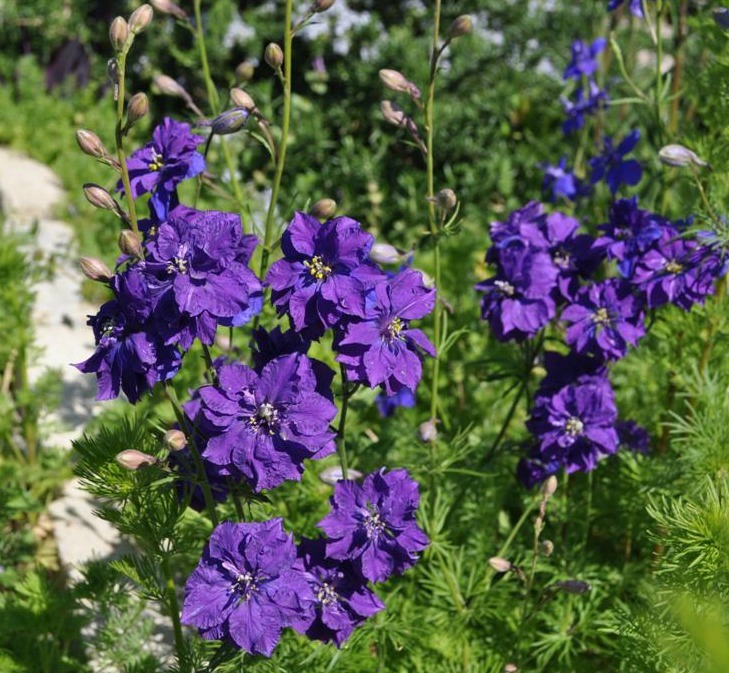 Larkspur is already blooming in our color wheel. 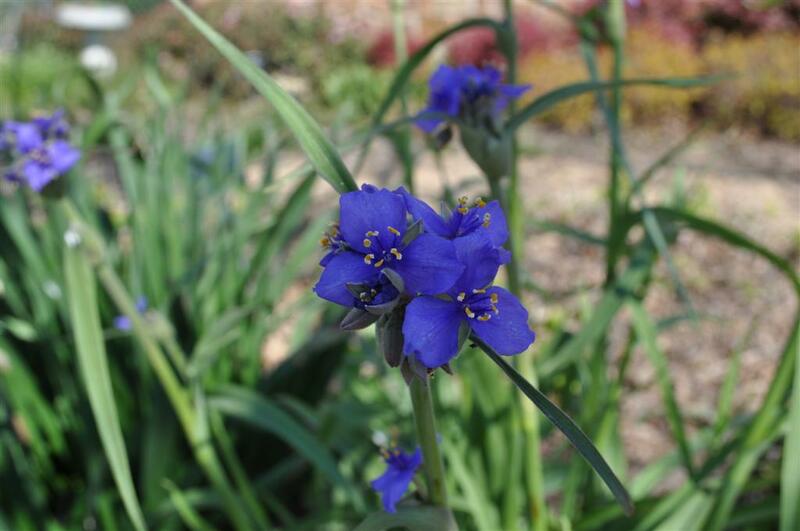 Spiderwort a carefree, sure sign of spring. 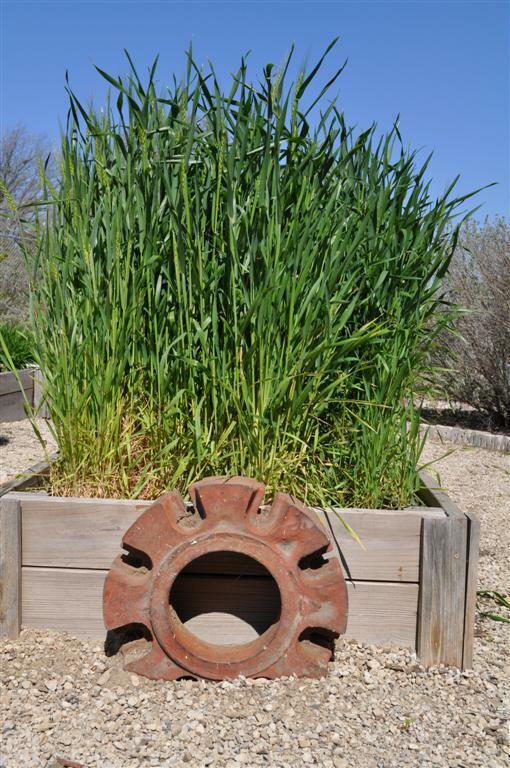 We found this heavy, wheel weight at the back of the property and moved it in front of our bed of wheat. It is such a neat artifact, we wanted everyone to see it and appreciate it as much as we do! 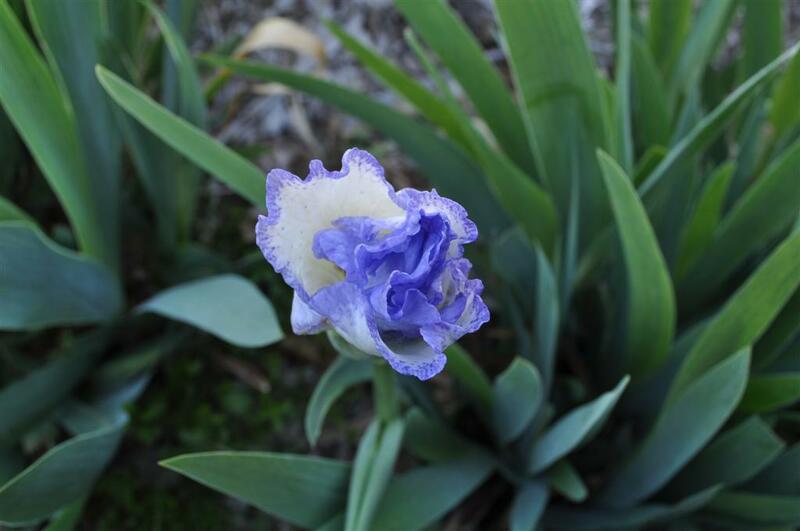 Posted in Spring and tagged Iris, Larkspur, Spiderwort, Spring Blooms in Dallas. Bookmark the permalink. You are so, so far ahead of us! What do you do with the wheat? It looks great growing there! We are warming up here in Texas, but we will trade places with you in August! We grow the wheat to show the school kids when they come for field trips. By the time they leave our gardens, they have learned about cotton and wheat: how it is harvested and used. that’s awesome… I’m working at a new position as an adapted gardening specialist for an agency that supports adults with developmental disabilities. Maybe we’ll grow some wheat and cotton this summer. Thanks! What beautiful colors and photos! I just couldn’t believe the intensity of the blue flowers. So glad you liked them.